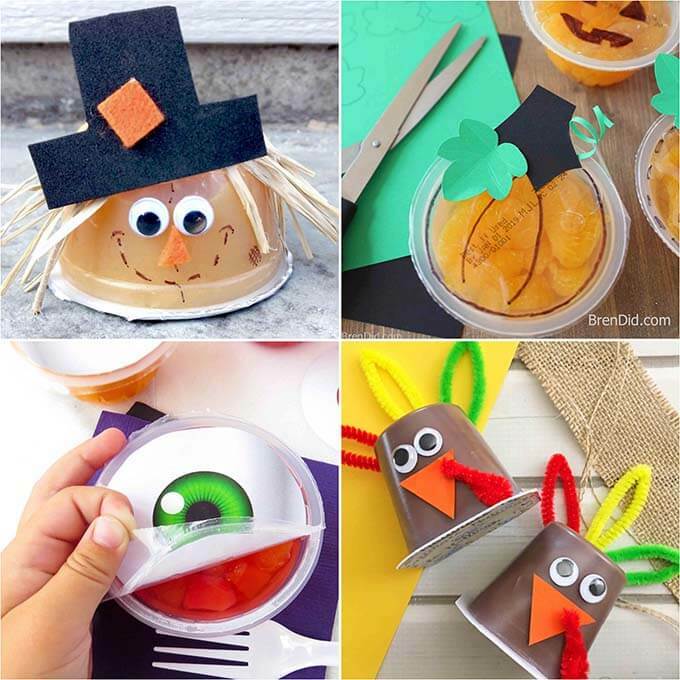 Turn prepackaged fruit cups into cute treats for kids with a few simple art supplies. These decorated cups are a fun and healthy snack for class parties or lunch box treats. 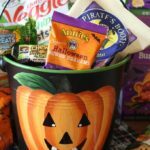 Fun ideas for all four season and many holidays! 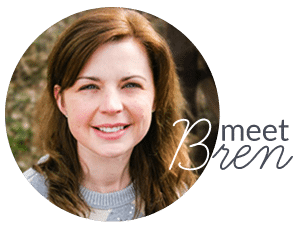 Years of planning class parties has me constantly on the lookout for fun kids' snacks that have nutritional value, are in the original container, and are easy to make. Sugar shock! Kids are presented with so many unhealthy treats from Halloween until Valentine’s Day. I love healthy alternatives. Food allergies! Many schools have strict policies requiring prepackaged snacks. I love ideas that keep treats in their original package. Time commitment! I need treats that can be made in a few minutes (tops) when making enough for an entire class. Once a classroom mom, always a classroom mom! Prepackaged fruit has become one of my favorite party snacks. 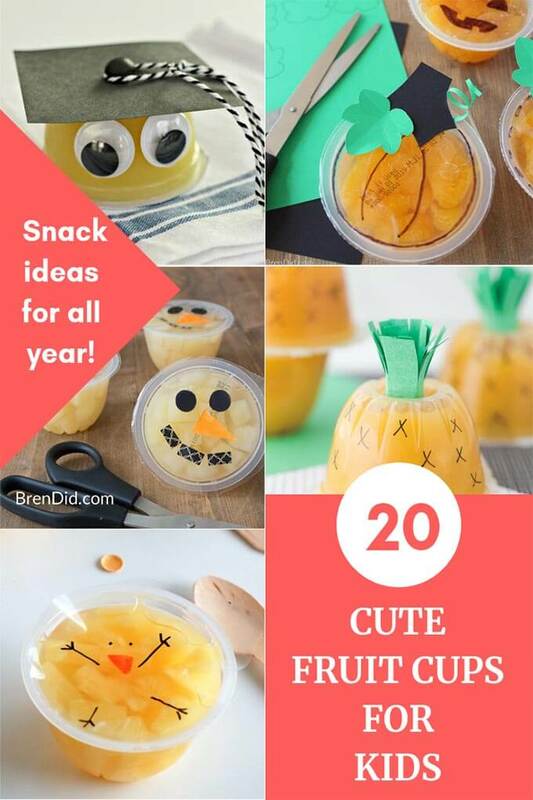 These 20 fun and easy fruit cups ideas will help you find the perfect snack for any season! Silly Scarecrow Fruit Cups from Keeper of the Cheerios. 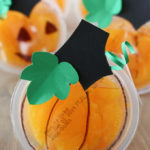 Spooky Eyeball Fruit Cups from Smart School House (free prntable). Silly Snowman Fruit Cups from Bren Did. Reindeer Fruit Cups from The Melrose Family. 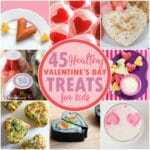 Love Bug Valentine Fruit Cups from I Heart Naptime. 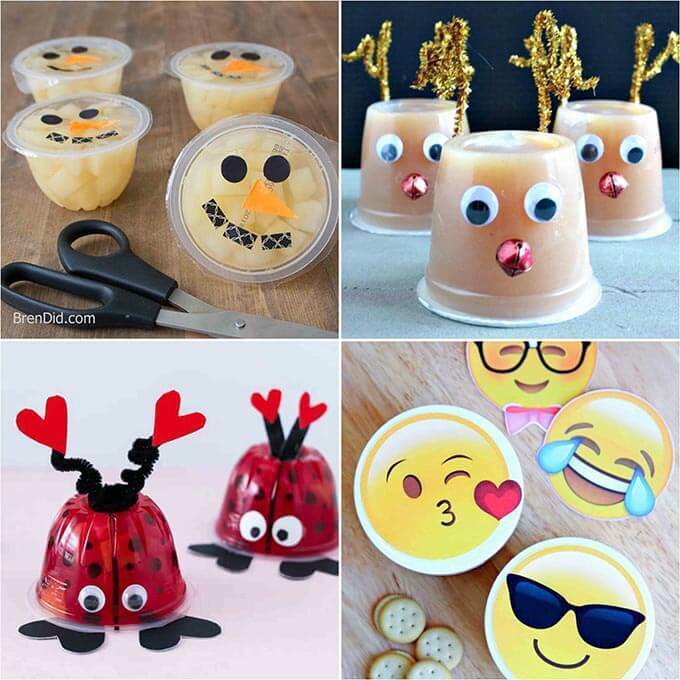 Emoji Fruit Cups from Happy Go Lucky (free printable). 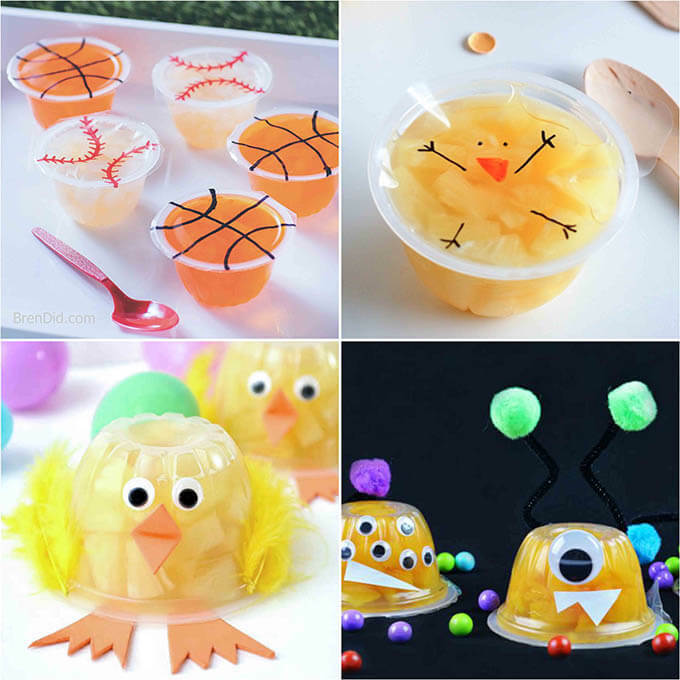 March Madness Basketball Fruit Cups from Fun 365. Easter Chick Fruit Cups from No Biggie. Spring Chick Fruit Cups from Kids Craft Room. Monster Fruit Cups from Totally the Bomb. Graduation Fruit Cups from Todays Creative Ideas. Pineapple Fruit Cups from Made to Be a Momma. Dog Days of Summer Fruit Cups from Cutefetti. Superhero Fruit Cups from The Taylor House (free printable). 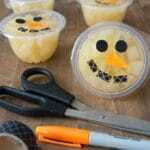 Lunch Note Fruit Cups from Thirty Handmade Days (free printable). 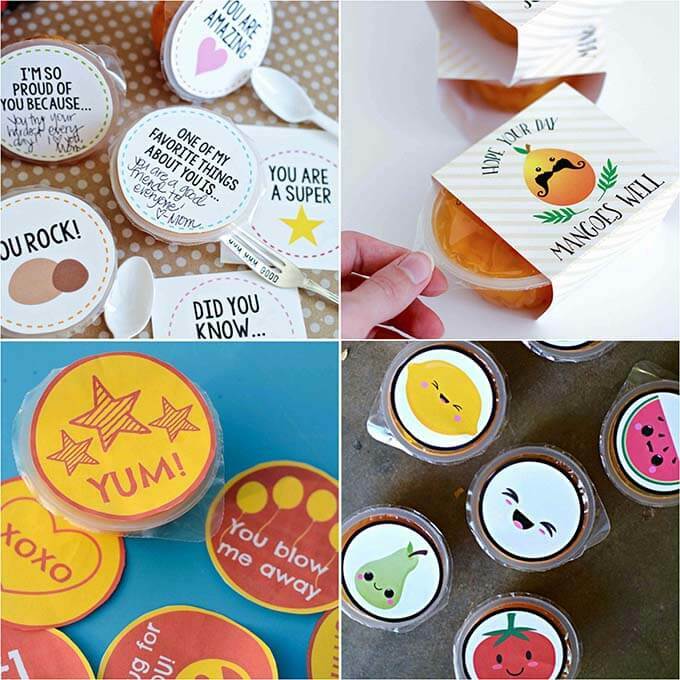 Kawaii Fruit Cup Covers from Little Inspiration (free printable). 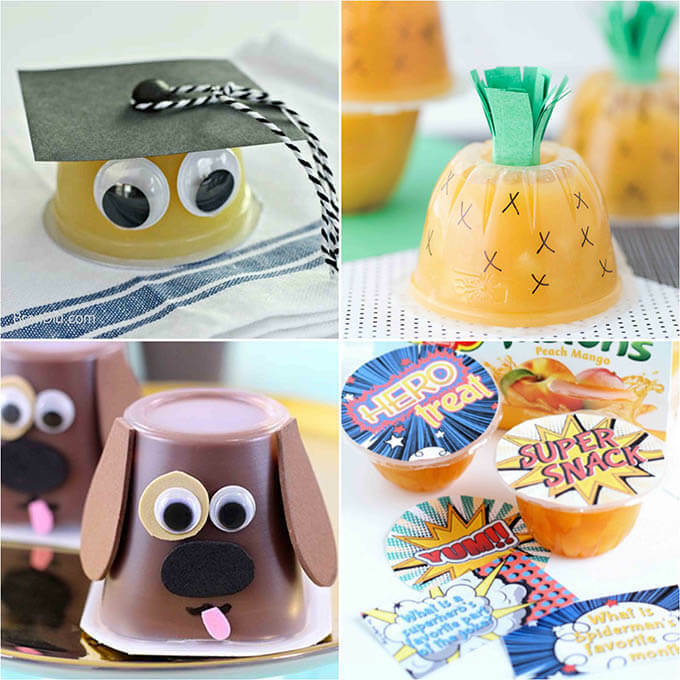 Fruit Pun Fruit Cups from I Heart Naptime (free printable). 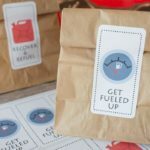 Beginning Reader Fruit Cups from Hands On As We Grow (free printable). It’s easy to make these fun treats. Follow the link below each picture to find detailed instructions for each design. No class party? 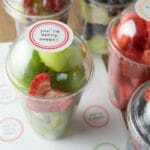 Decorated fruit cups make the perfect surprise for your kids’ sack lunch, after school snack, or birthday party treat. 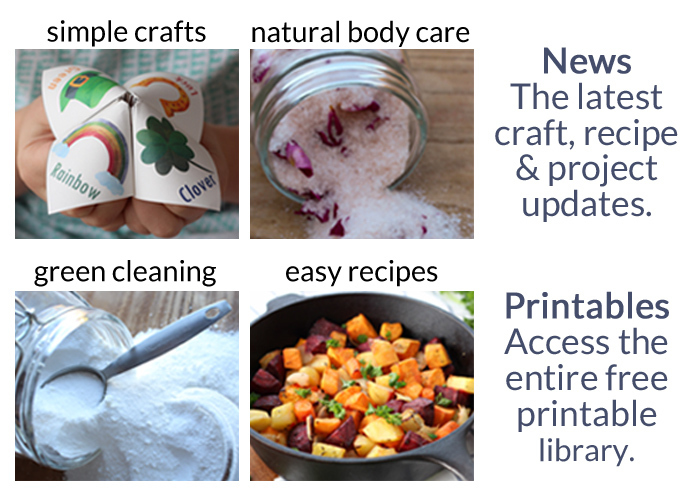 Love my easy craft ideas? Sign up for my newsletter below and never miss a thing!